To Be Continued – you can get involved! We are working on some more exciting collections of nineteenth-century fiction in our ‘To Be Continued’ series – details soon! – but in the meantime, you can get involved in the project by editing texts and adding your own discoveries to the 21,000 works already uncovered. Associate Professor Katherine Bode’s amazing Australian Newspaper Fiction Database has analysed the mass-digitised newspaper archive, and national treasure, called Trove to bring to light a vast new collection of fiction that is providing new insights in the development of Australian literary, publishing and reading culture. You can explore the database, but you can also help correct the text and add instalments and new stories – many tens of thousands of stories remain undiscovered in the newspaper pages. Correcting text will make searching the database more reliable and will also improve the quality of the newspaper text in Trove. Adding newly discovered instalments and publications will grow our knowledge of what fiction was published and available to read. How I Pawned My Opals and Other Lost Stories is the first title in Obiter’s ‘To Be Continued’ series. 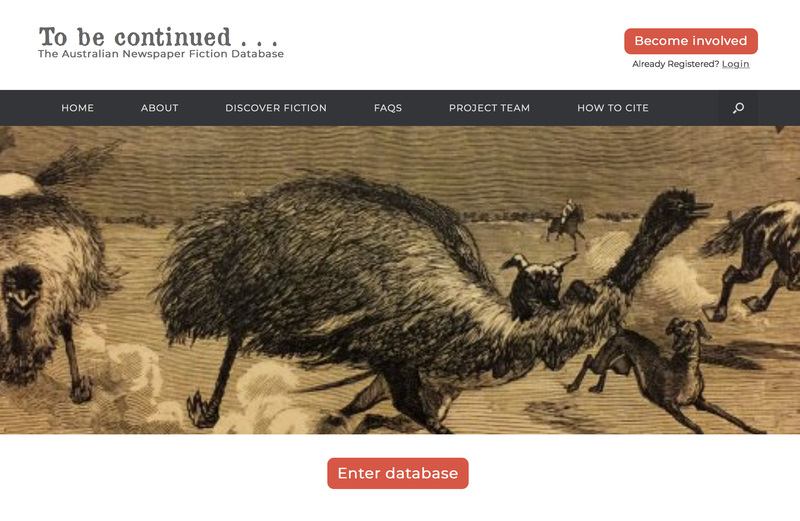 Kath Bode’s introduction to this collection gives us a greater appreciation of the work of Catherine Martin and a taste of the deeper understanding of Australia’s literary history that the Australian Newspaper Fiction Database is opening up to us.